Primarily working in hospital cancer care centres, medical physicists have special education in the application of physics to health care. NOSM works in collaboration with Health Sciences North and Thunder Bay Regional Health Sciences Centre to provide the Medical Physics Residency Education Program (MPREP), which offers education in the clinical application of medical physics with a particular focus on radiation oncology. Learners in this program—who must have at least a Master’s degree or, preferably a PhD, in medical physics, physics, engineering, or computer science—learn how to apply physics to develop individualized patient treatment plans, calculate radiation doses, and verify the accuracy of the radiation treatment itself. The centres are operated by two Northern academic teaching hospitals: Health Sciences North (HSN) in Sudbury and in Thunder Bay, the Thunder Bay Regional Health Sciences Centre (TBRHSC). Although during the course of the program residents are formal full-time employees of one or the other of these two Centres they will be required to fulfill the same requirements using the resources of both campuses in accordance with the NOSM model. They are expected to enhance their learning experience with contributions to the clinical work in a manner corresponding to the progression of their level of training. Successful completion of the residency requires that residents are fully competent in that they have met all educational standards and are capable of working with minimal supervision in a radiation treatment facility, have passed a formal oral examination administered by the Program, and are fully eligible to apply for clinical certification by the Canadian College of Physicists in Medicine (CCPM). Developments in Physics have had significant consequence well beyond the conventional boundaries of the discipline, including in Medicine. The pivotal moment when revolutionary impact upon medicine began is most likely the discovery of x-rays by Wilhelm Roentgen in 1895, a fortuitous event that resulted in his receipt of the first Nobel Prize in Physics in 1901. This discovery rapidly led to techniques and technological advancements for use in diagnosis and treatment that are fundamental to the practice of medicine today. And the revolution is far from over. Discoveries and innovations continue to improve the quality of care available to patients worldwide. The overall impact has been such that Medical Physics is now recognized as a field unto itself. In Canada there are two organizations representing the professional interests of Medical Physicists: the Canadian Organization of Medical Physicists (COMP) and the Canadian College for Physicists in Medicine (CCPM). Members of COMP include not only medical physicists working in the clinical environment, but also those employed in academia, industry, and government. These positions are public and/or private sector, and range in focus from teaching and research to administrative and regulatory roles through to a myriad of commercial interests. The CCPM, on the other hand, is a certifying body for Medical Physicists who wish to work in the clinical environment, which is a distinct subset of the discipline. The mission of the CCPM is to serve the public by identifying through certification individuals who have acquired, demonstrated, and maintained a requisite standard of knowledge, skill and understanding essential to the clinical practice of medical physics. Certification is sought by hospitals and other treatment facilities that hire medical physicists that have direct impact upon delivery of clinical care. Certification of competence is offered in four distinct sub-specialties: Diagnostic Radiological Physics, Magnetic Resonance Imaging, Nuclear Medicine Physics, and Radiation Oncology Physics. In order to become a CCPM certified Medical Physicist in Canada, individuals must successfully complete the Membership Examination for a specific sub-discipline. Prerequisites include the requirement that such individuals hold an M.Sc. or PhD in Medical Physics, or related field, and have successfully completed a CAMPEP accredited medical physics residency. The role of MPREP is to provide the accredited residency training for individuals interested in certifying in the sub-specialty of Radiation Oncology Physics. “Oncology” is the study of tumours, and “Radiation Oncology” is the treatment of tumours with radiation. In essence, the certification recognizes the competency of individuals to participate in the radiation treatment of cancer. 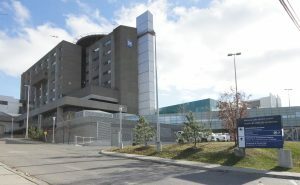 The program is academically administered by a collaborative involving the two academic teaching hospitals, Health Sciences North (Sudbury) and the Thunder Bay Regional Health Sciences Centre (Thunder Bay), and the Northern Ontario School of Medicine (with facilities in both Sudbury and Thunder Bay). The qualified clinical medical physicists, appointed as NOSM faculty to the program, are members of the Division of Medical Sciences and the medical physics residents are learners of the collaborative. The faculty and resident body use NOSM technology and academic administrative infrastructure to plan, communicate, and coordinate activities. NOSM support has been provided principally by the Administrative Director, Community Engagement and Integrated Clinical Learning and the Division Head of Medical Sciences. The current program structure is presented schematically. The program requires that residents are integrated into the clinical activities of a cancer center so that they are engaged in both academic and practical structured training. While such integration of the two residents will be primarily at their respective designated site, there will be engagement with the health care teams of both cancer centres. There will be routine interaction of the residents and faculty of both campuses during regularly scheduled videoconferences or teleconferences, which will be held on a nominal weekly basis. Such sessions will be topic focused and used for purposes such as enabling participation by those of the alternate campus in presentations being given by a resident or MPREP faculty. The program is structured to be completed within a period of 24 months (two years). The first two weeks of the residency consists of an orientation introducing new residents to all aspects of the work environment and the training program. During the orientation the resident will be introduced to the Program Director and a single most responsible medical physicist faculty member will be identified for each of the Clinical Rotations and Learning Modules that constitute the program. Regardless of assignment, all teaching faculty members, clinical physicists, and staff aligned with the program will provide mentoring, teaching, and learning support in addition to, as appropriate, educational oversight. Subsequent to the orientation, the resident will commence working through the series of pre-established Clinical Rotations and Learning Modules. Each rotation and learning module has detailed requirements that must be satisfied and an assigned medical physicist faculty member to act as clinical instructor and/or coordinator. To provide an idea of how all this would be accomplished in two years, have a quick look at a sample schedule for a typical resident. MPREP has the full support of NOSM and its campus educational facilities. The dual site infrastructure (Laurentian University in Sudbury and Lakehead University in Thunder Bay) is available to the program and residents. Such infrastructure includes health sciences library services, program administrative services, teleconferencing and videoconferencing facilities. In addition, residents will be able to avail themselves of the resources of the two fully operational clinical cancer centres. The Regional Cancer Program at Health Sciences North is an outpatient and research facility providing cancer services for Northeastern Ontario. The radiation treatment program treats approximately 1,900 patients per year. 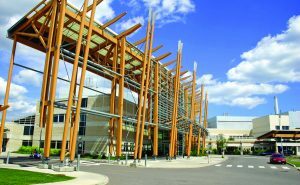 In April 2011, the Regional Cancer Program opened a single linac radiation treatment facility located at the Sault Area Hospital in Sault Ste. Marie. The Regional Cancer Program at the HSN has six medical linear accelerators (3 Varian Clinac iX, 1 Varian TrueBeam, 2 Elekta Infinity), an orthovoltage (Gulmay), a high dose rate brachytherapy unit (Elekta), a radioactive seed implant suite, and two CT simulators (GE Medical Systems). One of the medical linear accelerators (Clinac iX) is located at the Sault Area Hospital. The clinical programs at the Regional Cancer Program include image-guided radiation therapy, intensity modulated radiation therapy, high dose rate and permanent implant brachytherapy. External beam treatment planning is performed with the Pinnacle treatment planning system and the record and verify system is Mosaiq. The Regional Cancer Care Northwest is an outpatient and research facility at the Thunder Bay Regional Health Sciences Centre (TBRHSC) providing cancer services for Northwestern Ontario. The radiation treatment program treats approximately 750 patients per year. Regional Cancer Care Northwest operates two medical linear accelerators (2 Elekta Infinity), a high dose rate brachytherapy unit (Elekta Flexitron), and a large bore CT-simulator (Siemens Somatom). In addition, a PET-CT (Philips Gemini TF) has been configured to function as a backup simulator. Brachytherapy is delivered in an appropriately shielded fully functional operating theatre. Simulation is performed using MonacoSim, treatment planning is performed using XiO and Monaco, and record and verify is supported through Mosaiq, all of these systems being Elekta products. The intent is to provide, over time, a profile of residents who have successfully completed the program. Given that this is a new program there are no graduates as yet. That said, since 2000 Sudbury and Thunder Bay produced a total of eight residency graduates, all of whom successfully certified with the CCPM (or equivalent) and proceeded to be gainfully employed. MPREP is dependent upon many individuals to be successful and produce residents of the highest standard. Faculty hold and maintain formal appointments with NOSM. In addition there are radiation oncologists, radiation therapists, treatment planners, and other professionals at the treatment centres who contribute significantly to the teaching and learning environment. The complement of medical physics staff at the HSN consists of seven medical physicists, all board certified (6 CCPM, 1 ABR) and six with PhDs, while the TBRHSC has three qualified medical physicists, two PhD, one MSc, and all CCPM certified. All medical physicists are encouraged to maintain academic faculty appointments with NOSM, and at both or either of Laurentian and Lakehead Universities. Two of the medical physicists are also cross-appointed with the Department of Radiology at the University of Ottawa. Both medical physics departments are also actively involved in supervising graduate students of both Lakehead and Laurentian Universities.